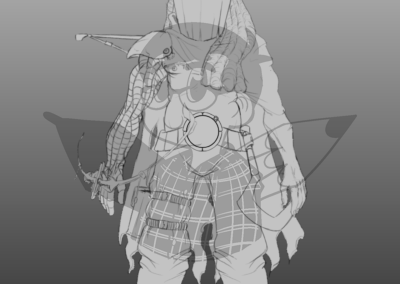 Complete chara-design of a character and his items from the random prompt : DRUID – CYBERPUNK – OLD MAN – BLIND. 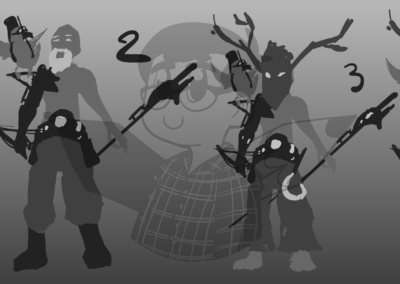 I first started by making silhouettes with the prompt in mind. 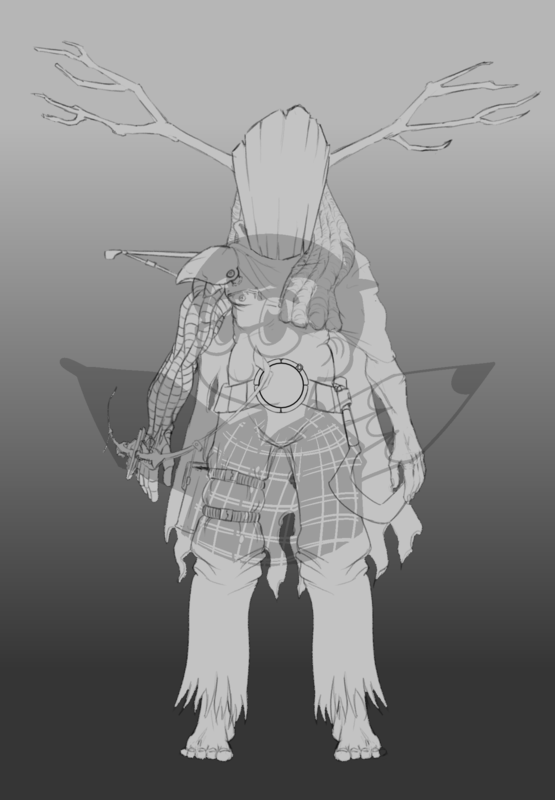 I wanted that the druid design reflects his links with nature and still have a futuristic look. 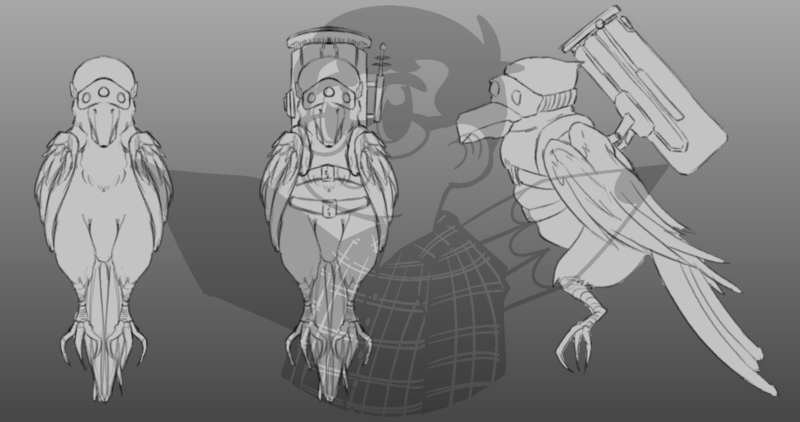 That’s why I went with a wooden helmet and a bird pet (links with nature) and futuristic weaponry (cyberpunk theme) on silhouette 4. 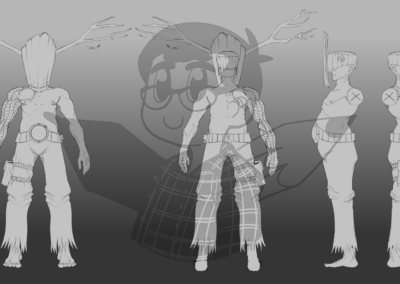 Note that his helmet doesn’t have holes for his eyes (as he is blind) and his clothes are torn apart (which reflect that they’re old and so is he). 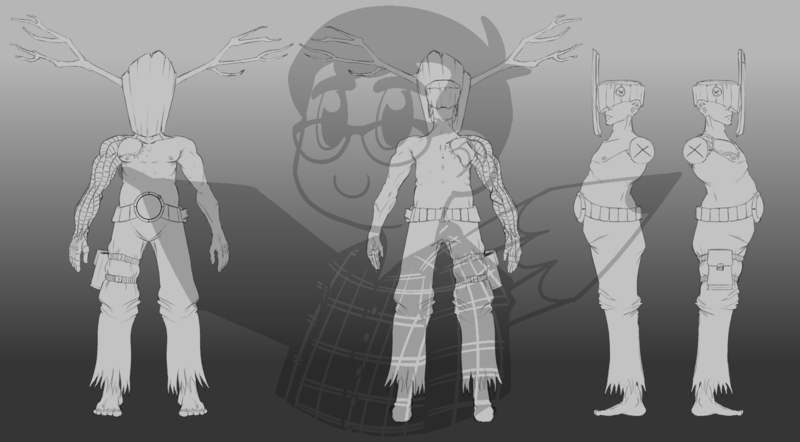 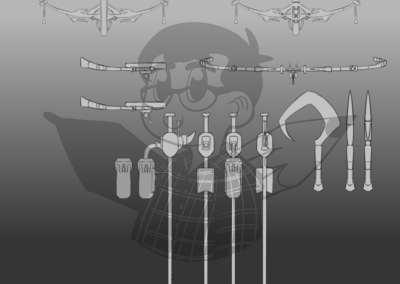 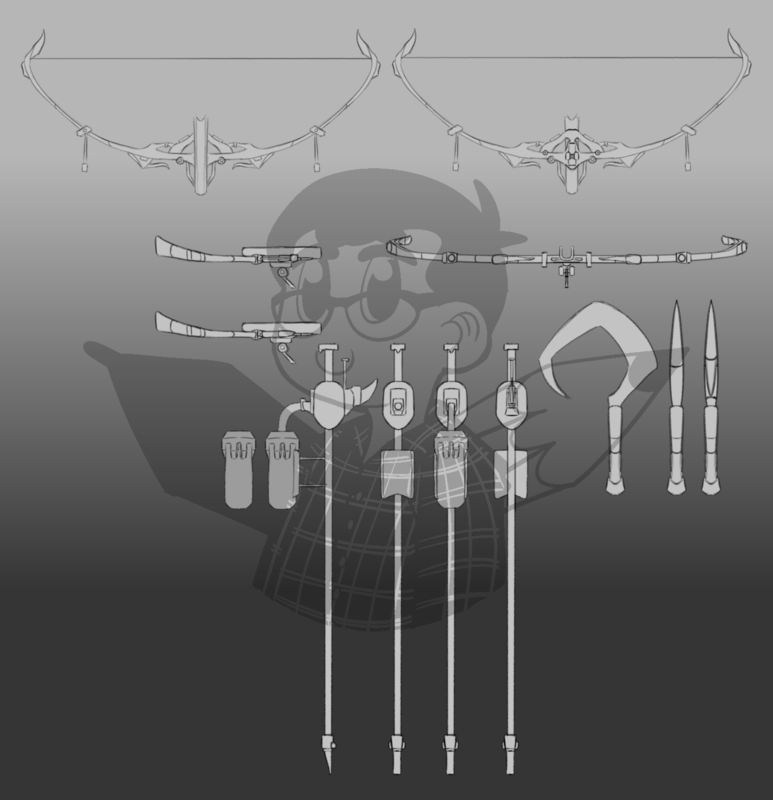 I detailed the last silhouette more on a rough drawing and made my concept art from this. 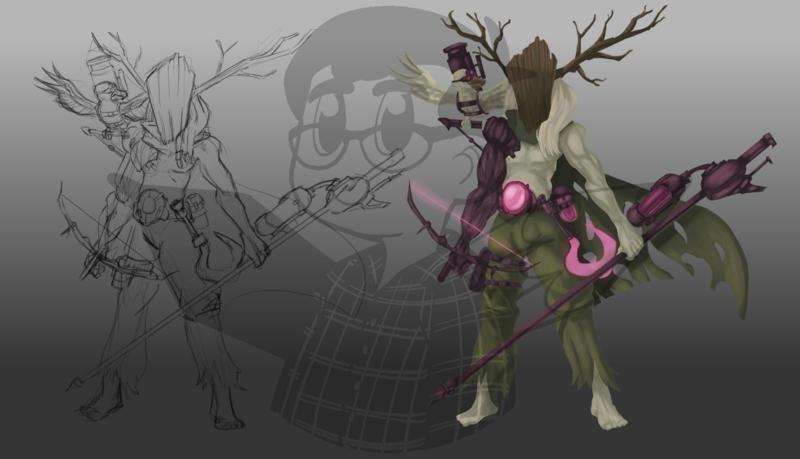 I choose to use greenish colors for the nature part and purple for the futuristic parts. 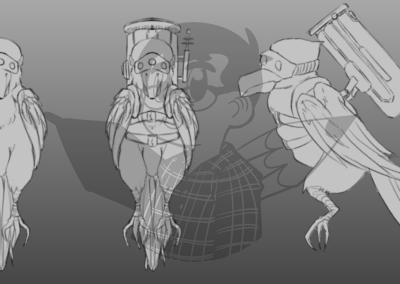 Note that the bird has the same color as the druid, reinforcing the link between the two characters. 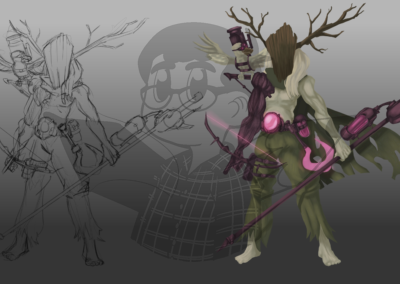 Once the research phase complete, I went with the different turnarounds for the druid, his pet, and his weapons.